A stitch in the eye! I had intended to enter the Photo Challenge hosted by Daffy and Melissa for Stitch this week, and I am going to use what I planned to. The only thing is, there is an addition and a reason my own Challenge won’t have a detailed review. A bit difficult when you have to keep an ice pack on and your eyesight is a bit blurry. Click the blue words up there for other entries. This is the eye about two hours later. I am not showing you the whole area. I thought the color alone of that nice, first black eye in my life, along with that green tinge would be nice to see. 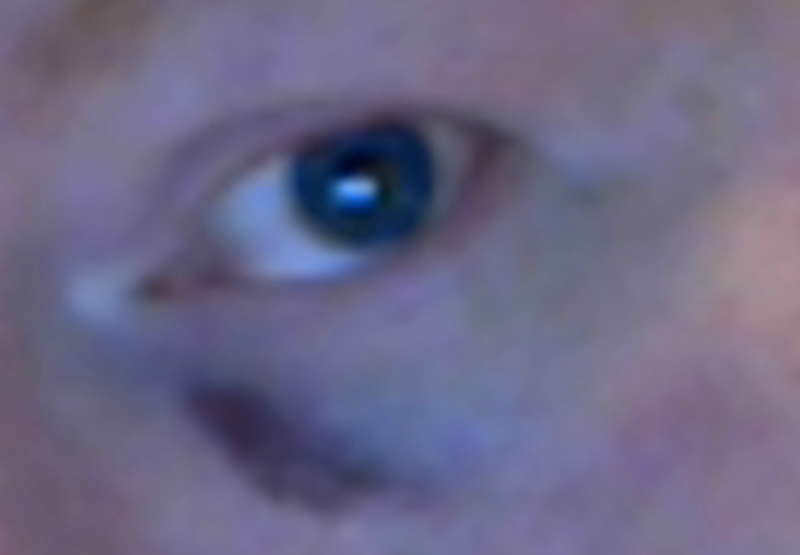 Apparently the ball tipped off my glove and hit a fence behind me, then hit me square in the eye, or round in the eye. But there it is. I yelled in pain once, and said ‘Oh, Gosh!” according to my son. Pretty proud of myself. Goes to show not using profanity or any bad language since the day I found out he was to be born paid off. Not long ago I was doing some photo shooting of a sight that occurs in my Southern Romance. I wanted some pictures I could use to capture the true imagery of the place. I love old tin toys that really do work. So does my son. He passed this one up because he had a specific toy in mind he wanted on this trip. I was going to enter this in a photo challenge of one of my friends but I was a bit too late. Instead I think it fits well for Throw Back Thursday type post. Tin Toys of the type I’m talking about came into being around the middle of the 1800s from Germany. Original Tin Robots are some of the most sought after. Obviously this is not one of those. Click HERE for a great article about the history of Tin Toys on a site I found. The photo was taken with my little LG phone. If this guy is around the next time I make it through there, I think he’ll be coming home with me. For more entries in my 82nd Haiku Challenge featuring the words Star and Child, click HERE. Fast on the draw … up keyboard … is TJ! Back in the saddle again after singing for his Christmas dinner. Make certain to click through and support the original post. Only TJ would think up this one as art. I think my breakfast may be delayed. It’s Lundi again! Quelle horreur! When I was in Prison. I don’t normally do Photography challenges. When I saw Hugh’s prompt this week I could not resist, and I waited until Thursday for it to be a throwback moment as well. Here I am, my yearbook photo from the University of Georgia. Stripes? If you have to ask where the stripes from Hugh’s prompt are in this photo then you are color blind and very fortunate. I still have this shirt 20+ years later. Some sites do not have their handle showing in their Twitter share option on their posts. I have to put in the handle from knowing they have one when I share the post on Twitter. How to get your Twitter Handle to show when people Share your blog articles. 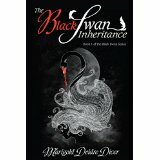 To view an author’s books on Amazon, click either the word Author in red, or the book image beside their name. Steven S. Walsky (Author): When Love is Still a Stranger. (Haibun) | Simplicity Lane. Ever lasting school boy fantasies. Click the Author link above to go to Steven’s blog where you will find all the available places for each book. He’s varied. Nagrij or (Greg Pierce). (Author): – | Nagrij Writes the Hits You Never Knew Existed. . You can check out the list of books on Amazon by clicking the Author link above. Kat: Ill-fated Ice Crystals | like mercury colliding. She had to go the humor route. She couldn’t help herself. Diedre Blake: Crushingly Clear Minded | Toward the Within. So this could have gone into LIFE but that last line just begged for HUMOR. Ken G.: Into the Light | RIVRVLOGR. Strangely, this has a link of sorts with Greg’s, if one puts their mind to it. Becky: Live in Faith | Becky G? Oh, That’s Me! Straight to the point with her message this week. Christine R: Ride the wave of hope | Christine R. Be a dear, and think clear. Willow: Crystal Hope | Willowdot21. This is one of those you read a few times before grasping it all. Willow use a syllable numbering all her own this week, well of sorts. Creativity is a huge part of this challenge and community. Kat: Crystal Hope | like mercury colliding. Three here that could have gone in another category but I felt over it they each had something to do with life. Good deal of imagery here. Clarence: Haiku Quintation | PrarieChat. As those who regularly attend our shindig here, you know Clarence comes up with his own title. I have so wanted to do something like this. Here are five Haiku. And the name’s meaning will be obvious as soon as you arrive. If not, I am speechless. Also, has anyone noticed how awesome Clarence’s writing is? I mean I know we all know it is, but from those first days to now? Wow. The man has let his mind go and written his little heart out. Fearless. Sandra: Happy | Wild Daffodil. She wrote a happy post, with two Haiku about a happy time combined with photography of a Happy theme challenge, and her laptop crashes. Anyone feeling this pain as much as I am? You can find the list of this years photo challenges on Daffy’s blog by clicking here. Andre Jayaprana: White Sand Beach | andrejayaprana. Very nice photo with this one. Makes me jealous. Last weeks did too. One thing I love about this challenge is seeing how much others get to live and travel and do wonderful things. Andre, you should try the photo challenge that Sandra and Melissa host, they are two of our Haiku members and they combine the photo and Haiku challenge into one post. Ared ( anghulinghugotero): I Just Want Her To Be Happy | ANGHULINGHUGOTERO. A nice hope here. Olga: Untitled | Stuff and what if. . Elusive: Spring Fever | Elusive Trope. I say this for an obvious reason, at least obvious to me. It’s a type of fever that isn’t the norm though. Carolyn Injoy: Fractured Focus | Reviews & Recommendations. I love this one. At first one gets an awww factor, then you think about it and you realize what it is saying and as a writer and life liver in general you have to laugh. 1000hoursleft (Mek): Plato’s Cave | Work In Progress. A very interesting thing to learn about. Make certain to give a search after reading the Haiku. VronLaCroix: Crystal Wishes | Simply Snapshots. This one brings a nice image to the mind. Dr. Kottaway: Fear stands | KO Rural Mad As Hell Blog. A very personal door open for her Haikumily to see. Clarence: On My Daughter’s Dresser | PrarieChat. A lot more to this one than you might first think of. Keep reading it and going over that last line. There is a story there. Pancake Bunnykins: A Hopeful Morning | A Real Messy Beautiful Twisted Sunshine. The dawning of a new day. For those visiting this blog, the like button is to the left of the top image. A little different than the usual theme’s we visit. Suzanne Miller: Early Morning | Art and Life. A Haiku inspired not only by the words but by the photo she took the same day she wrote the Haiku. Very jealous.